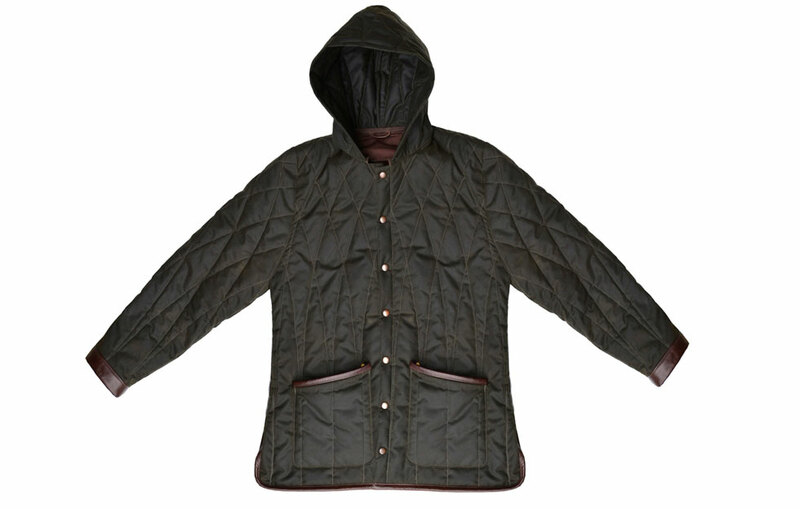 This hooded anorak offers a complete barrier to the most inclement weather. 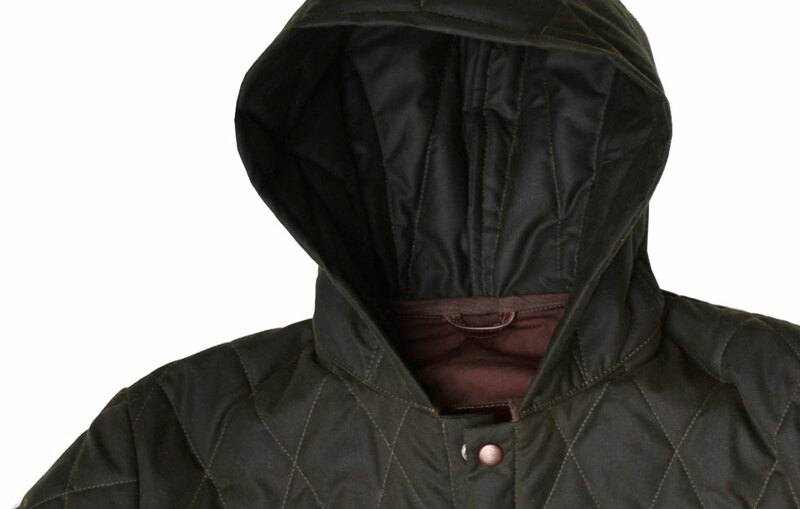 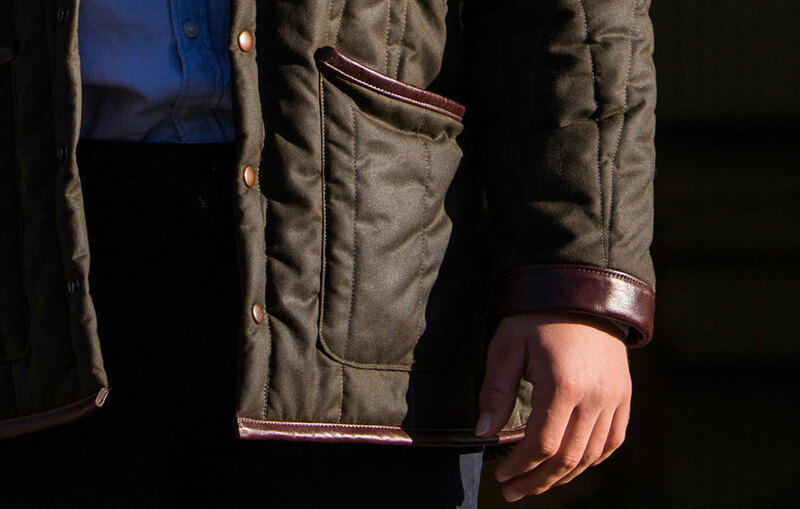 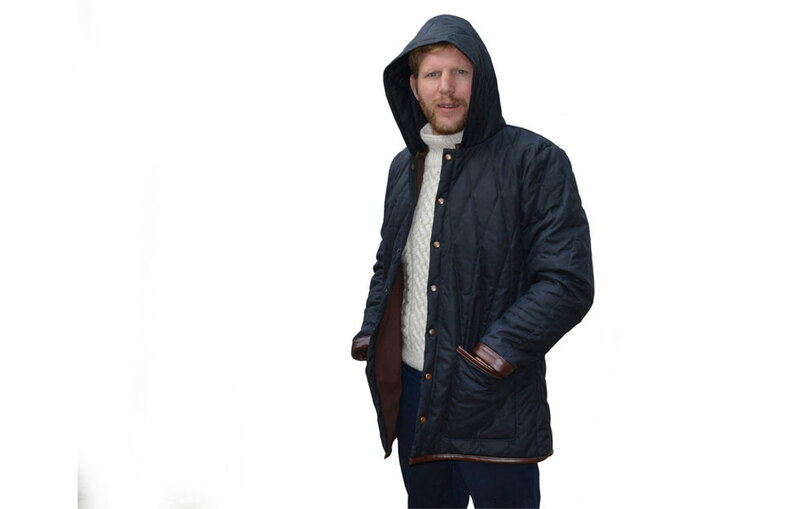 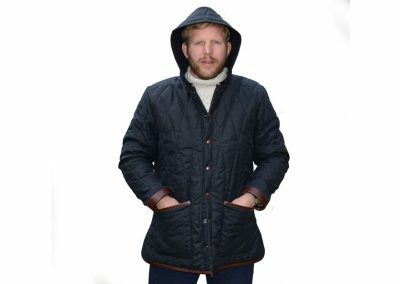 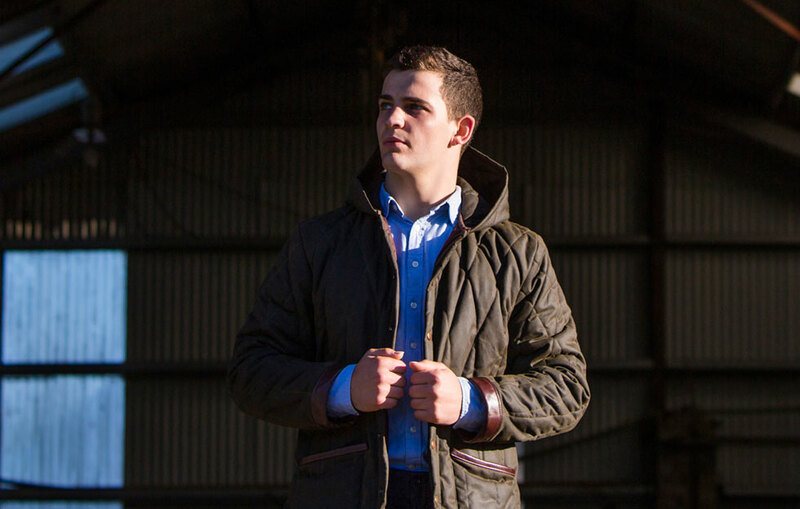 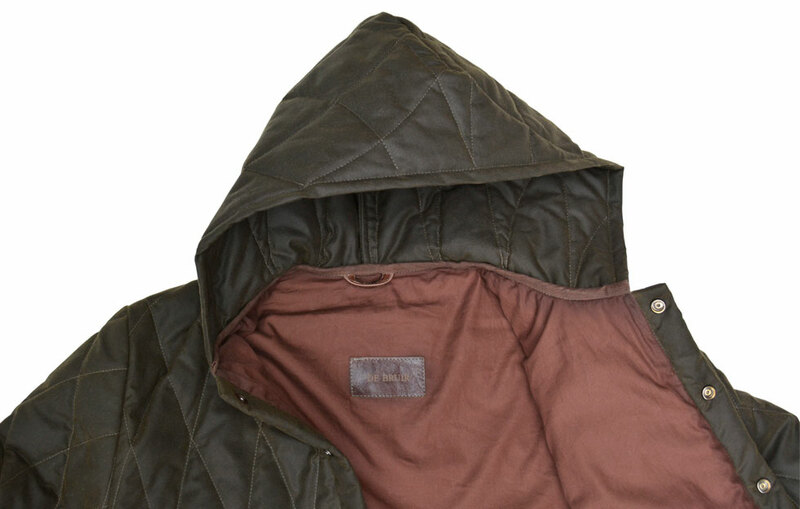 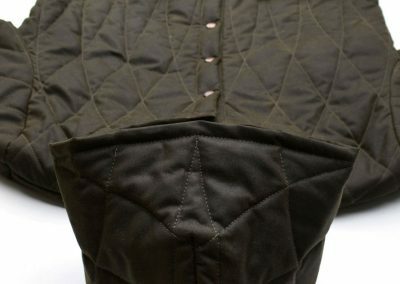 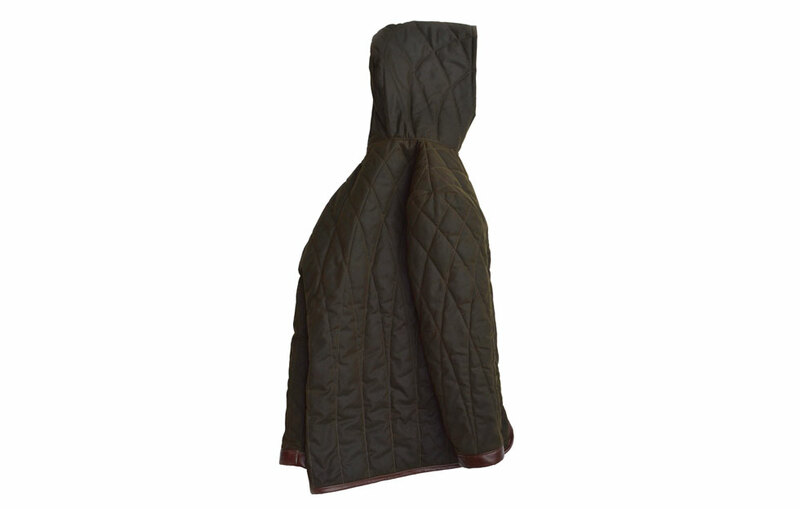 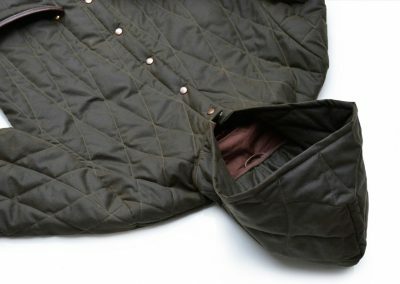 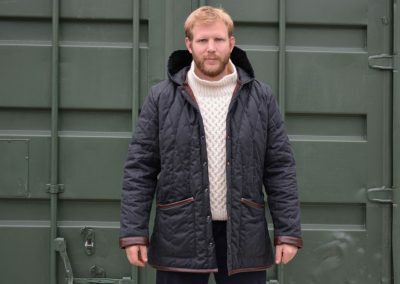 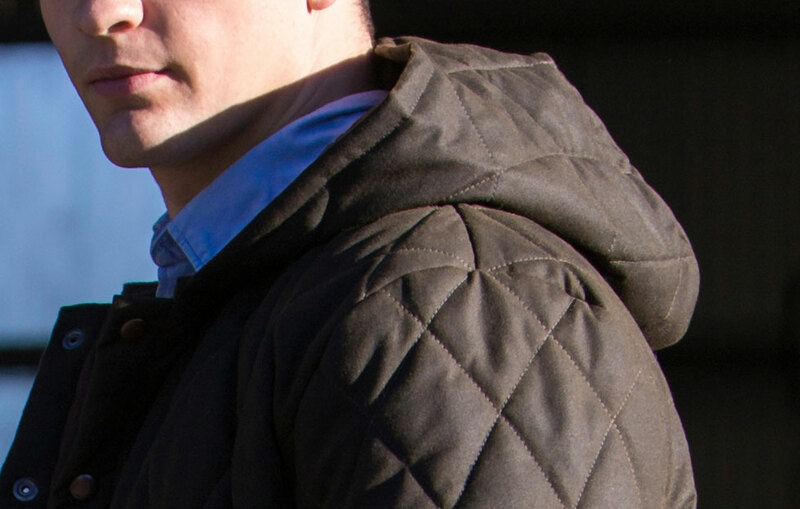 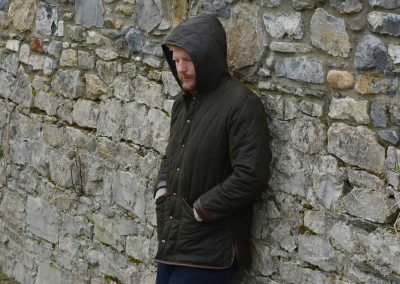 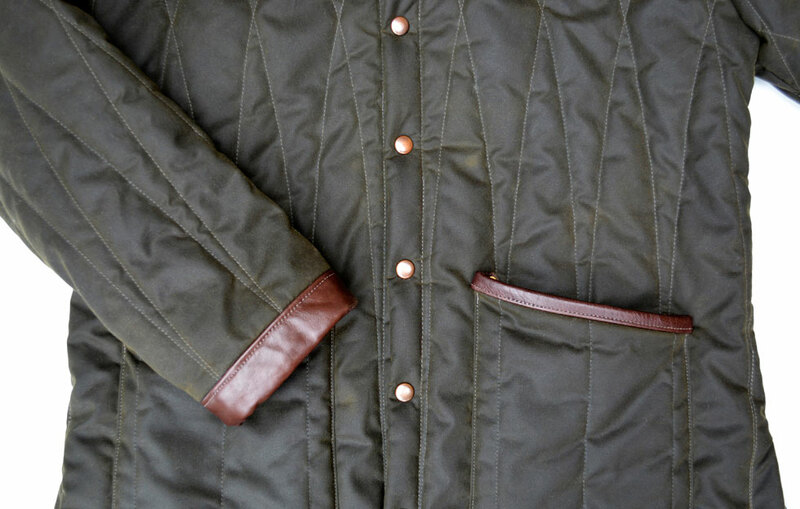 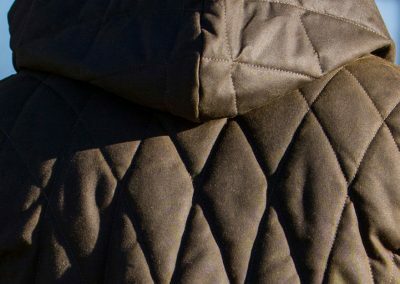 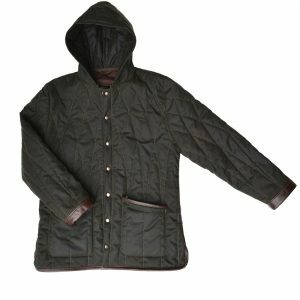 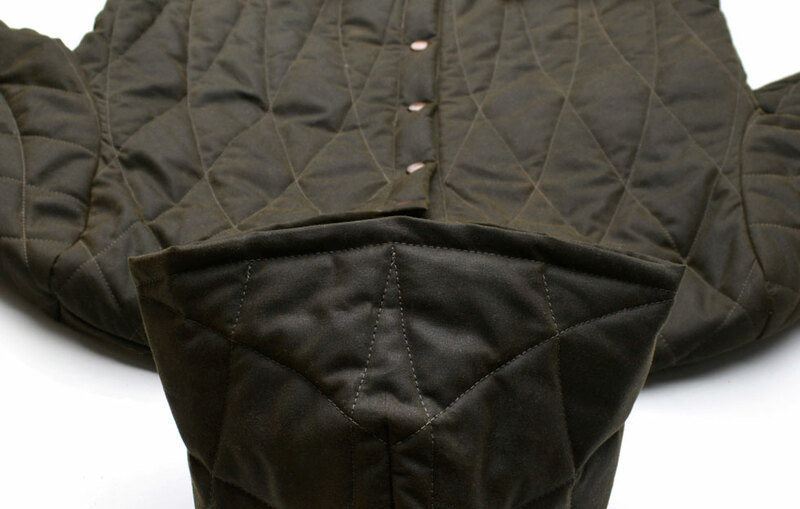 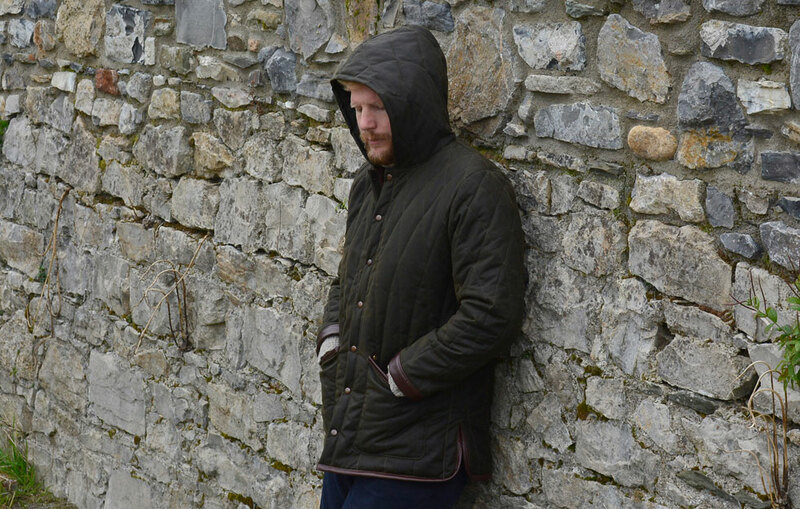 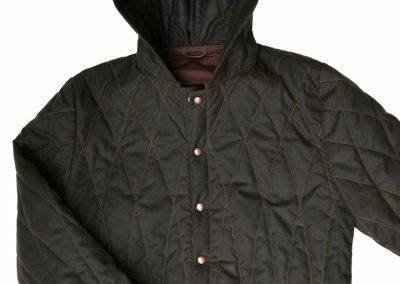 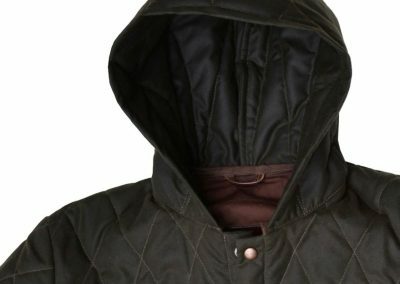 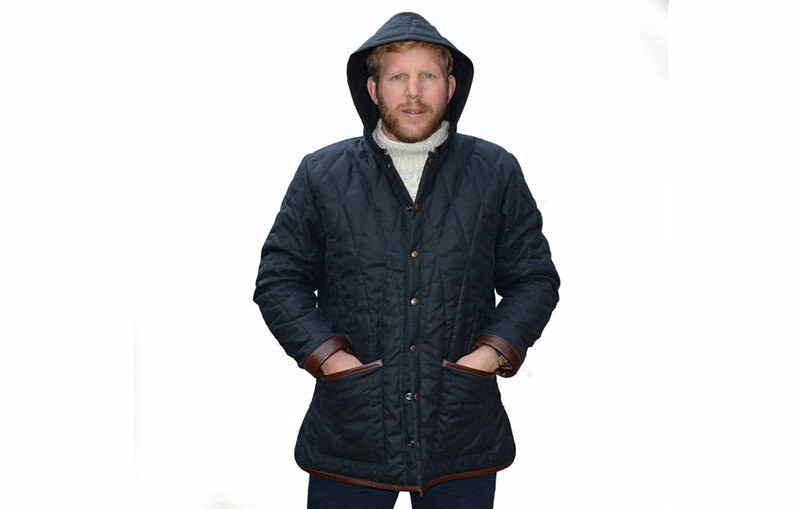 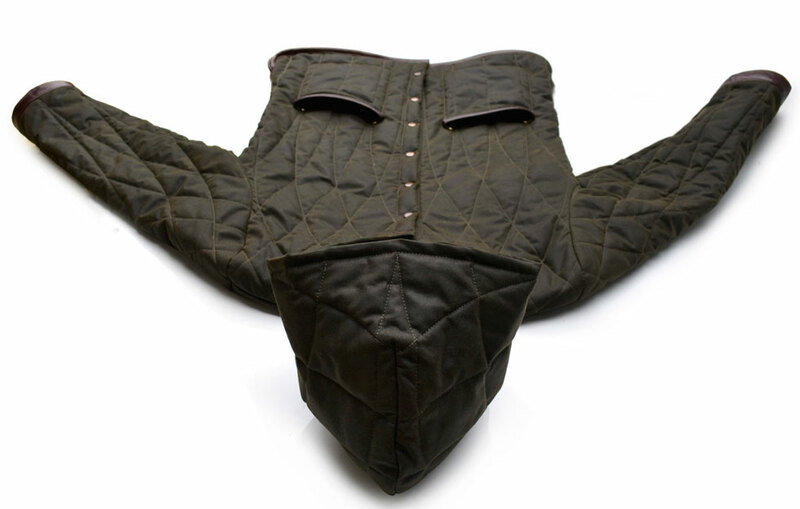 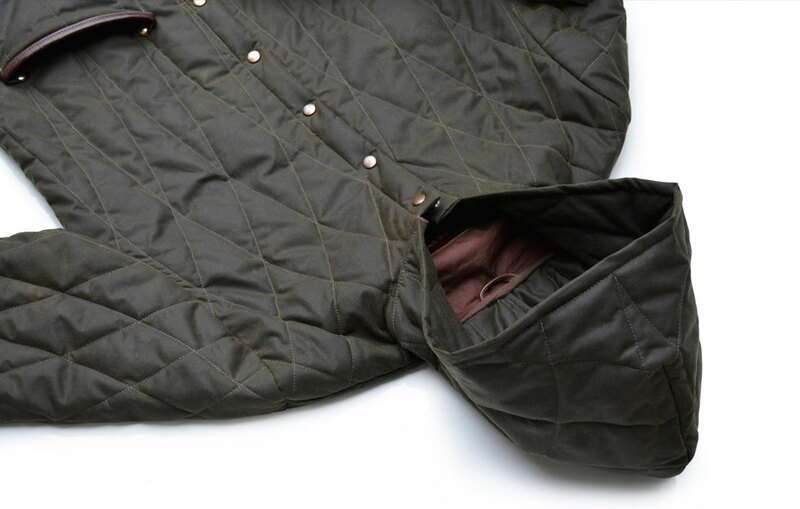 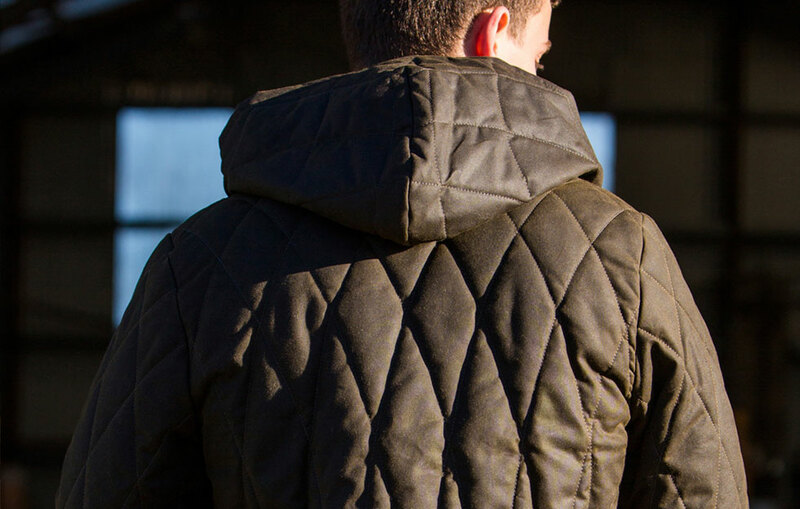 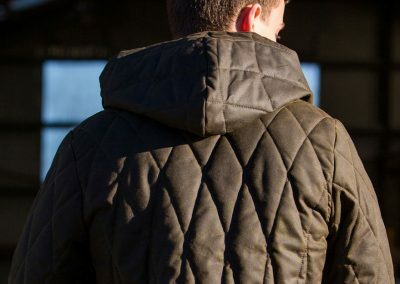 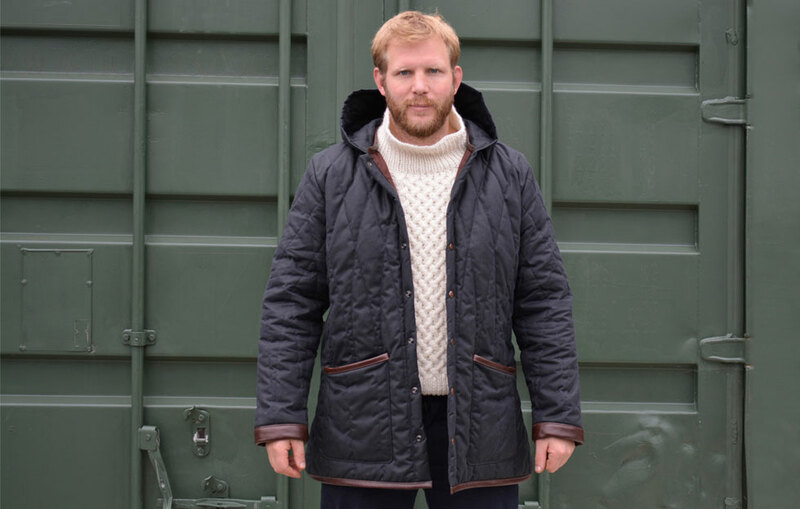 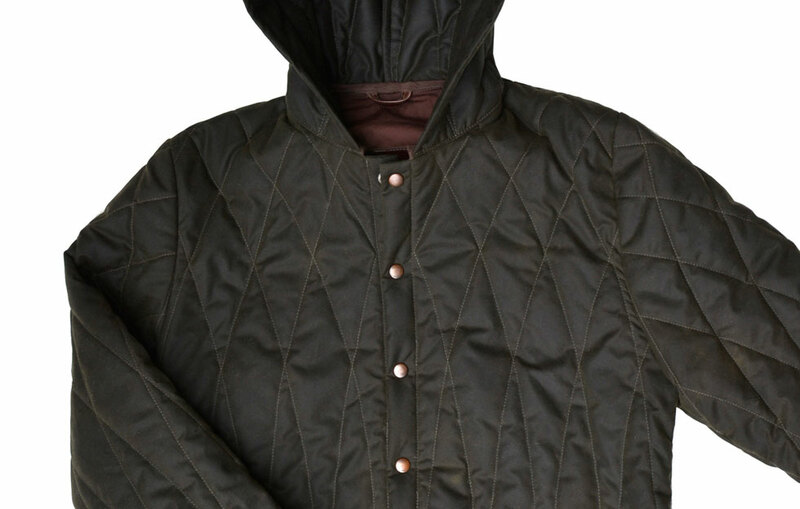 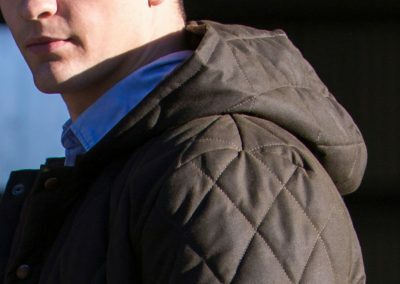 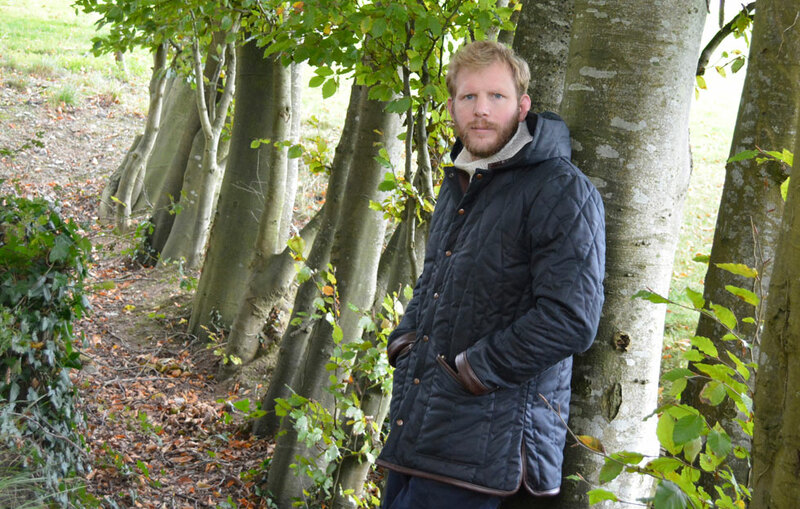 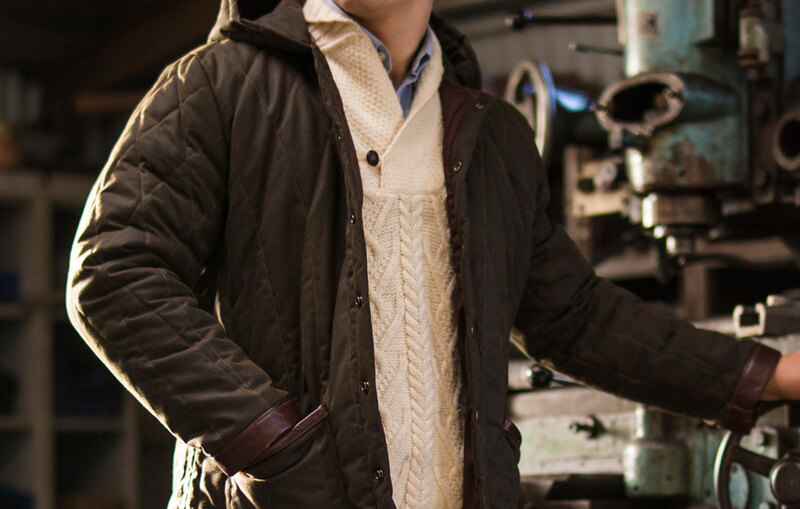 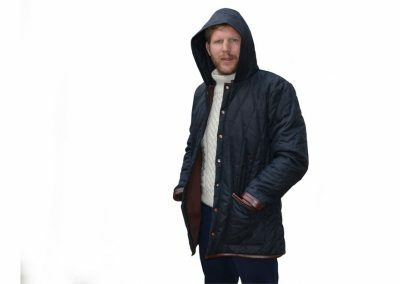 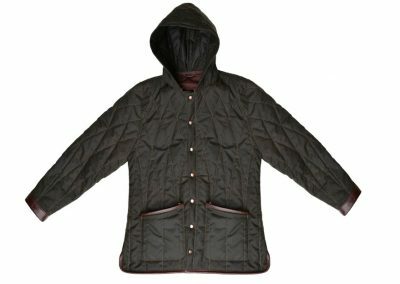 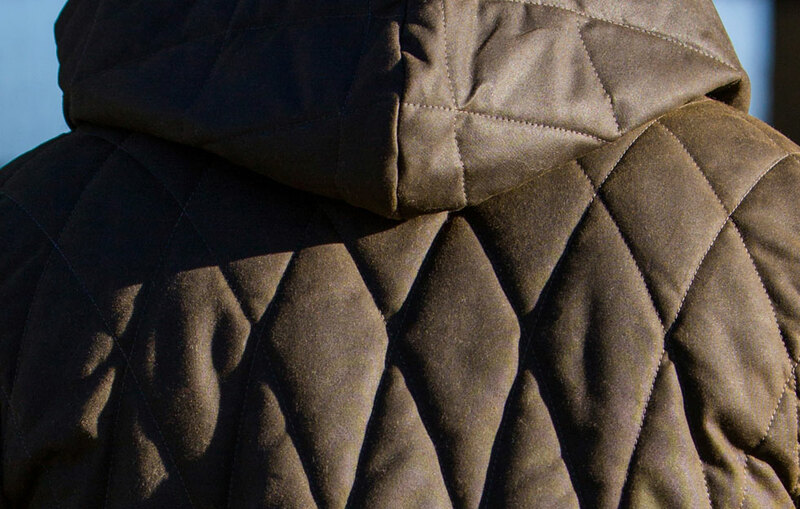 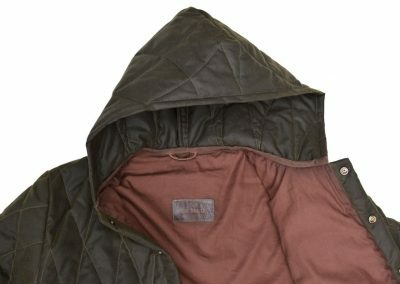 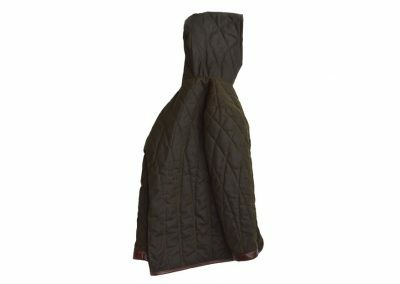 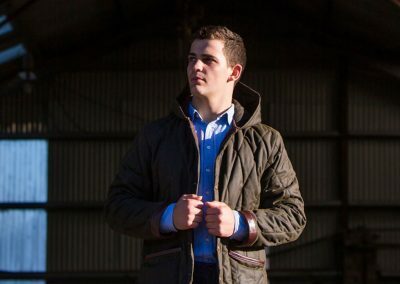 The signature DE BRUIR pattern extends from the body of the coat up into the hood. 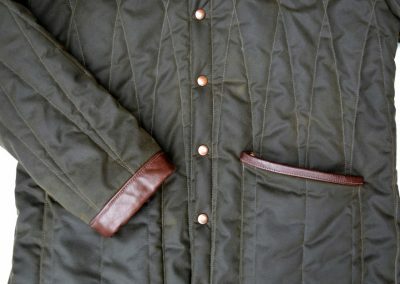 There is a button down front closure. 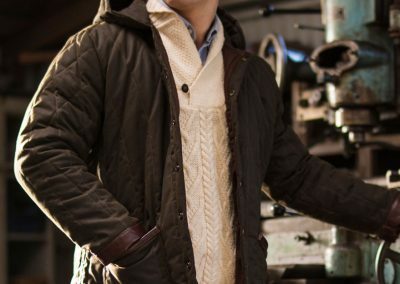 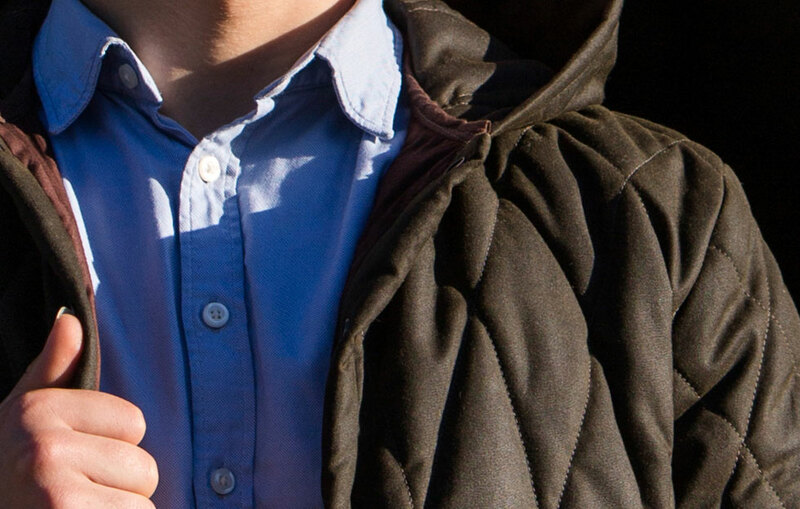 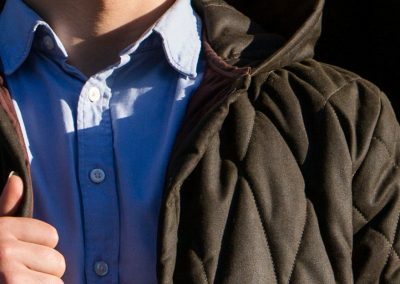 The casual style of coat design is comfortable to wear open or closed. 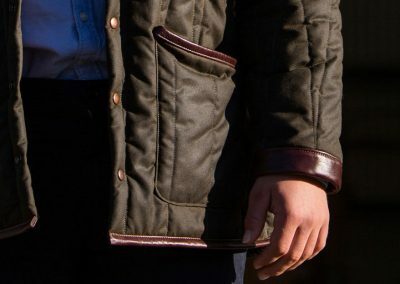 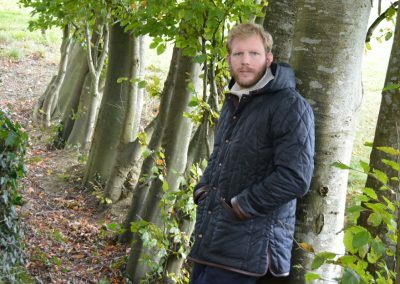 Hands can be buried deep into the pockets for extra comfort from the wind and the rain. 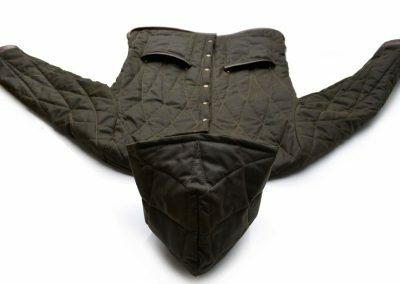 Handmade in Wax-Cotton and Leather.